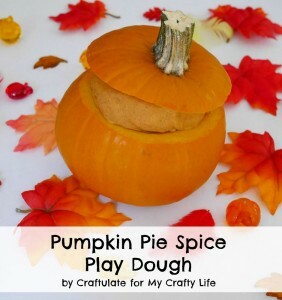 I made this fun pumpkin pie spice play dough and presented it in a real pumpkin for a guest post over at My Crafty Life. 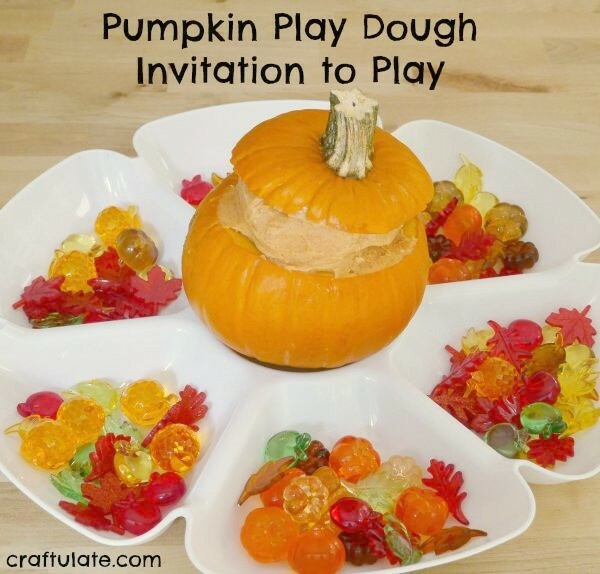 So if you’d like to know how I made the play dough, hop on over! 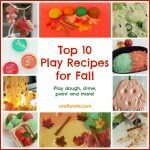 Once you have made the play dough (and stuffed it into a pumpkin, if you like), then set out a really inviting activity for your child. Personally I love using my dollar store chip-n-dip platter for this! 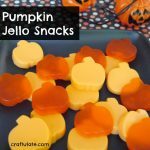 I apparently have the world’s supply of fall-themed small plastic gems: pumpkins, leaves and many more! Note to self: You do NOT need to buy any more next year! I just love how everything looked together! The first task for my son was to scoop the play dough out of the pumpkin. This actually wasn’t as easy as you might think! He enjoyed “hiding” the gems inside the play dough. The next day F asked to play with it again. 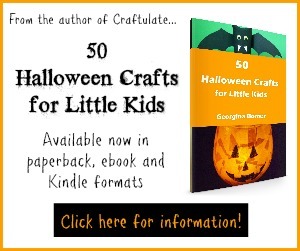 I didn’t store the play dough in the pumpkin but he was OK with that – luckily! He had lots of fun pushing the gems into the play dough again. He also broke a piece off and made an “apple tree” by just using the leaves and apple gems! 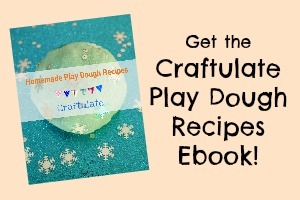 Remember to head on over to My Crafty Life to get the play dough recipe!